Milhouse from The Simpsons was based on Paul Pfeiffer from The Wonder Years. Like Milhouse was to Bart, Pfeiffer was also a best friend/sidekick of a main character. 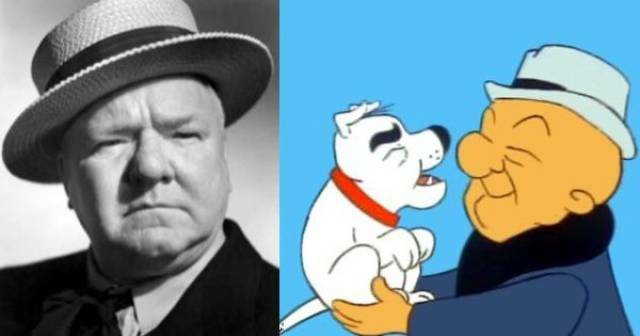 Mr. Mahgoo was based on comedian W. C. Fields. 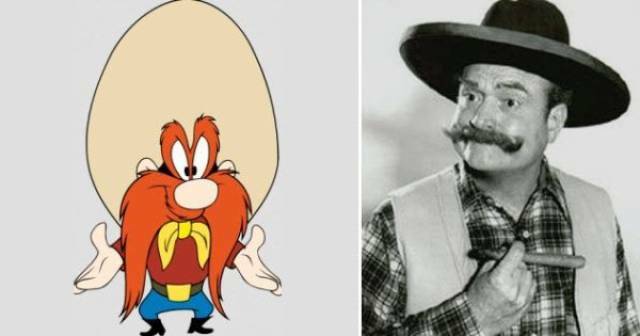 Yosemite Sam was based on Red Skelton, a popular comedian who had many roles in old western movies. Cartoonist E.C. 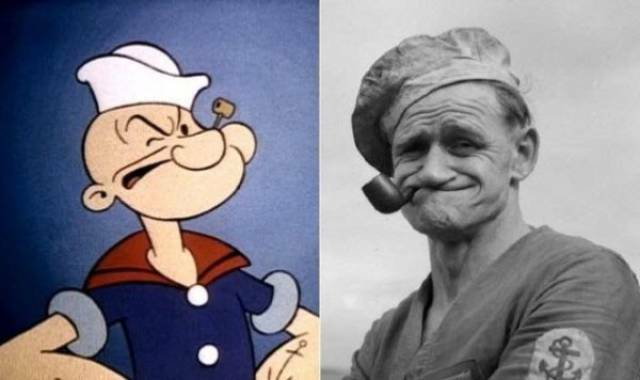 Segar based his character Popeye on a sailor named Frank “Rocky” Fiegel. Fiegel was a local hero in Segar’s hometown who had one eye, loved to smoke pipes and get in fights, and was rumored to have unprecedented strength. Betty Boop was inspired by popular 1920s singer/actress Helen Kane, who not only looked like Boop, but sounded like her, too. Kane even had the catchphrase “Boop-oop-a-doop.” She wasn’t a fan of the cartoon version of herself and sued both the cartoonist and Paramount Pictures. 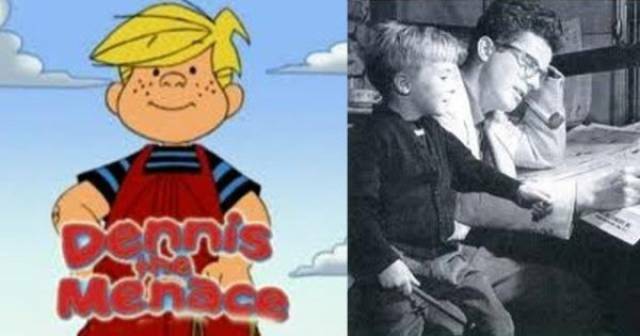 Cartoonist Hank Ketcham based Dennis The Menace on his unruly son, Dennis Ketcham. One day, after his son created a big mess in the house, Hank’s wife shouted, “Your son is a menace!” Hank picked up his pen and started scribbling. 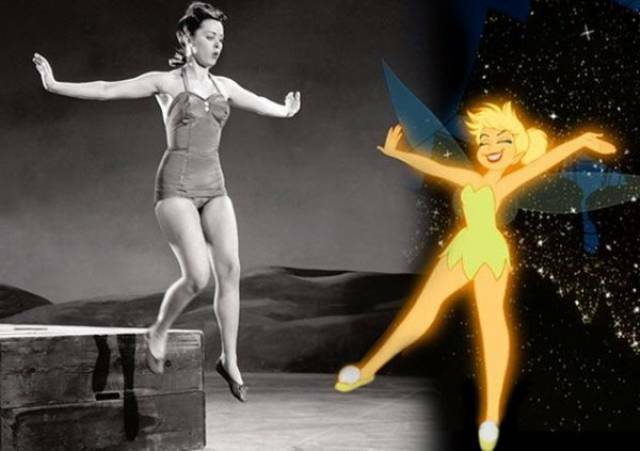 It was long rumored that Tinker Bell in Peter Pan was modeled after Marilyn Monroe, but Disney actually used the likeness of actress Margaret Kelly. Ariel from The Little Mermaid was modeled after the big eyes and expressive face of Alyssa Milano, who was a young actress on the ABC sitcom Who’s The Boss? at the time. 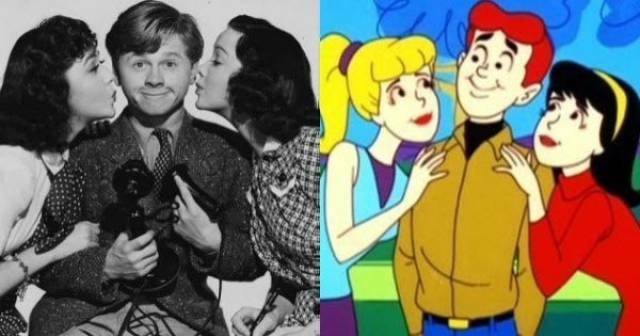 Archie was based on Mickey Rooney, a popular redheaded star of teen comedies at the time. Native American actress Irene Bedard not only lent her voice to the Disney animation of Pocahontas, they also modeled the character’s look and movement after her. Ursula in The Little Mermaid was modeled after 1970s drag queen Divine. The likeness is uncanny.